Langsdom BX10 earphones connected to a mini remote control with a 3.5mm plug, the control panel allows you to adjust the volume and control the microphone. 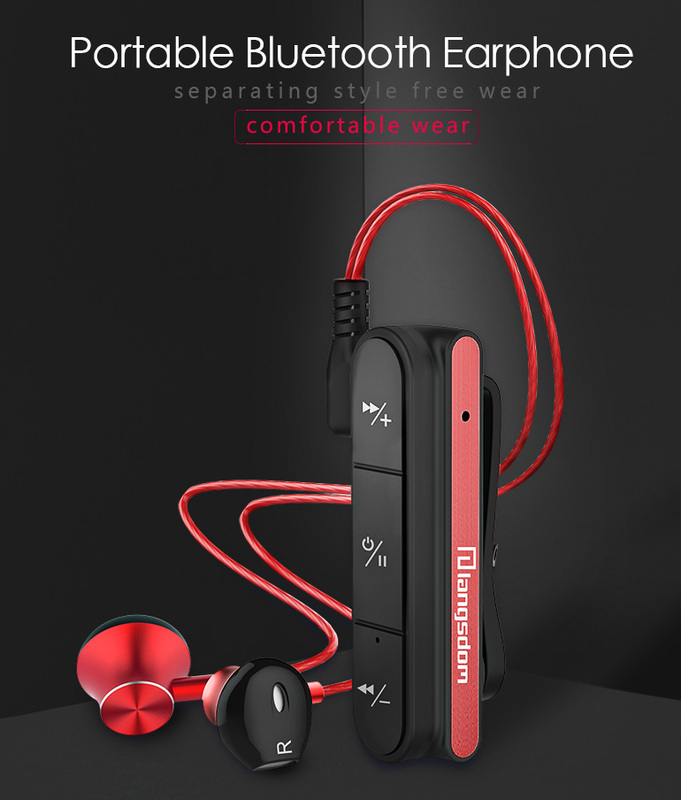 The device adopts noise reduction technology, reproduces high-quality stereo sound and powerful bass, supports voice control, gives comfortable wearing. The USB interface can be both used for battery charging and earphone connection, convenient to use. With the magnet attraction design, like a necklace, you can wear it around your neck when you don't use them. Innovative magnetic design with silicone, which can absorb on clothing freely, easy for sporting and relaxation. All the control in your hands, 3 buttons for volume control, answer call and skip song, compatible for iPhone, iPad, Android, etc. Bluetooth v4.1 technology allows you to connect quickly to any smart device or PC. Charging about 2 hours, talking time up to 5 hours, standby time about 120 hours. Supports iOS phone for capacity display, to know your battery status timely. Low sound quality loss will be prevented and high sound resolution will be warranted by the micro USB connection. With human body engineering design, comfortable fit the ear canal, more effective sound insulation to prevent leak.